Can John Sadler finally get a Breeders’ Cup win in 2018? 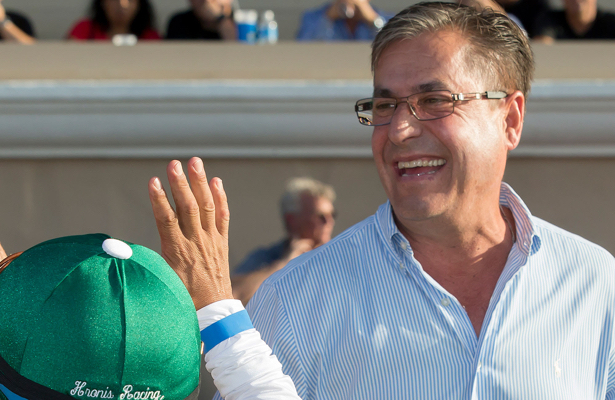 The Breeders’ Cup spotlight is going to shine brightly on California-based trainer John Sadler on the afternoon of Nov. 3. Sadler heads to Churchill Downs with at least two likely favorites who will help him in his quest to win his first race at the World Championships after 41 failed attempts. Sadler’s first Breeders’ Cup runner came in 1988 when Olympic Prospect finished seventh in the Sprint. 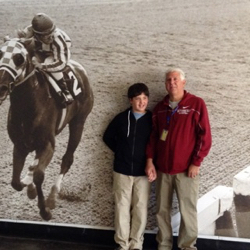 Since then he has had runners in 13 different Breeders’ Cup races. None, however, were favorites. In 2018, Sadler is expected to have four Breeders' Cup runners including Accelerate, the probable favorite in the Classic. Accelerate has had his best year with five wins from six starts that includes four Grade 1 victories. The 5-year-old raced in the Dirt Mile the past two years, finishing third in 2017 and ninth in 2016. Catalina Cruiser, who is unbeaten in four career starts, is likely to be the top choice in this year’s Dirt Mile. The 4-year-old won his last two starts in Grade 2 stakes in California by open lengths as a heavy favorite. Then there is Selcourt, who vaulted to the top of the female sprint division after three dominant victories at Santa Anita in the first part of the year. Injury, however, took her out of competition and Sadler has opted to train her up to the Filly & Mare Sprint where is she, too, could be the favorite. Sadler was asked if he was feeling more confident about getting that elusive Breeders’ Cup victory while preparing for this year’s big races with that powerful trio of possible favorites. Sadler’s overall Breeders’ Cup record is 41: 0-3-7. The seven third-place finishers ranged in odds from 4.40-1 to 42-1. Stellar Wind and twice with Switch got Sadler closest to a victory. Sadler and Stellar Wind also tried the Distaff the next two years. In 2016, she was sent off at odds of 2.50-1, though wasn't the favorite with Songbird also in the race. Those odds did represent the shortest price that one of his horses has ever been in the Breeders’ Cup. On that day Stellar Wind was fourth, and then last year as a 5-year-old she finished eighth. This year will mark the ninth time that the Breeders’ Cup runs at Churchill Downs. Sadler’s runners have a 7: 0-2-0 record under the Twin Spires. Switch ran second in consecutive years in the Filly & Mare Sprint in 2010 and 2011. There’s no doubt that in 2018, Sadler has his best chance of finally hoisting a coveted Breeders’ Cup trophy and, at the same time, he’d cast aside the dubious honor as the trainer with the most championship starters without a victory.